Another Swirly Bird card for you today. 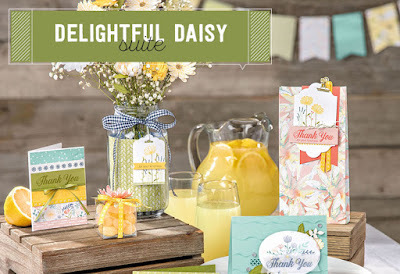 A very pretty floral card today with a nice little detail that is subtle and very effective. I love the effect on this card. 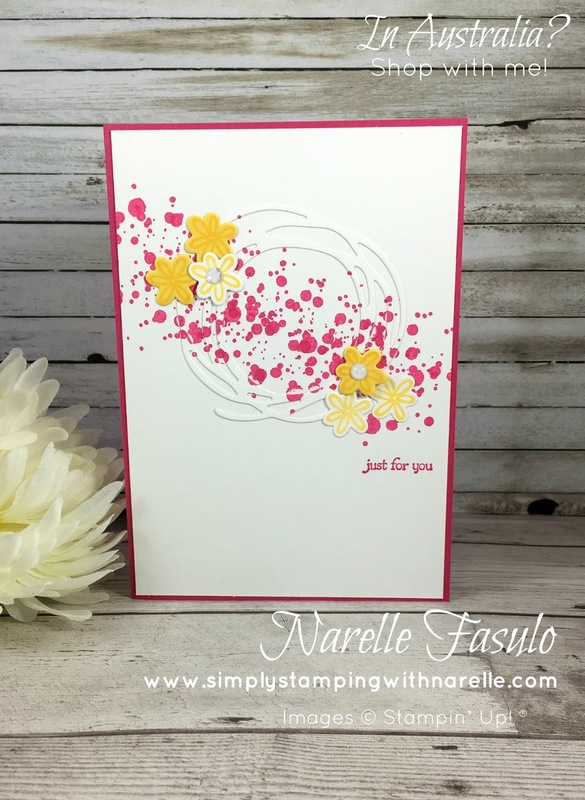 The swirl in white was glued onto the card and then stamped over with the splotches. Add some pretty flowers and a sentiment, and the card is complete. Yet another project in May's Stamping By Mail class. Click on the image below to see all about what is included in June's class. There is also the Markers Class that you can register for too. See all the details by clicking on the image below. Don't forget that if you use the Hostess Code below in my online store, I will send you some extra goodies. I love all the patterned papers on offer in the catalogue. So much so, that I am offering a special for the rest of June. Purchase 4 packs of any 12"x 12" Designer Series Pack, and receive a A4 Cardstock Pack absolutely free. 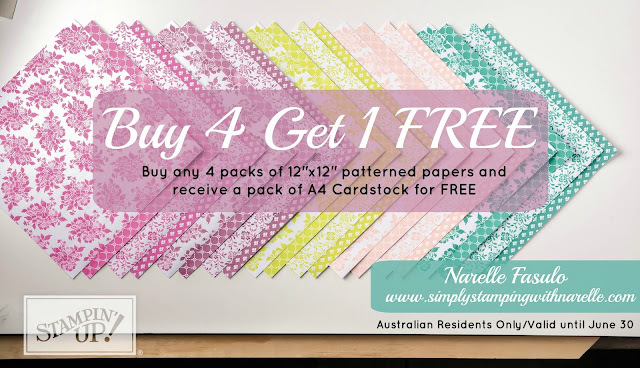 If you are in Australia, and want this deal, all you need to do is place the order through my online store and I will do the rest.